Conceived and assembled by musician and sound designer Uwe Zahn aka Arovane, Spectral Textures comes with a wealth of presets that are perfectly suited for film scoring and creating textures for games or radio jingles. Of course, Spectral Textures can and should be used as an inspirational starting point for your own compositions. The majority of Spectral Textures’ presets consist of two sound elements – spectral samples created with a digital additive synthesizer and field recordings – in combination with effects. Live's Ping Pong Delay and Reverb add space and dimension to the sounds. Live’s Vocoder along with the frequency modulation capabilities of Sampler are also employed to emphasize spectral components of the samples. Some presets have a “wavescan” feature which lets you move through the spectral samples dynamically by using the modulation wheel. Sourced from an abandoned garden center in eastern Germany, an assortment of unique field recordings infuse many of Spectral Textures with a vibrant, real-world timbres. 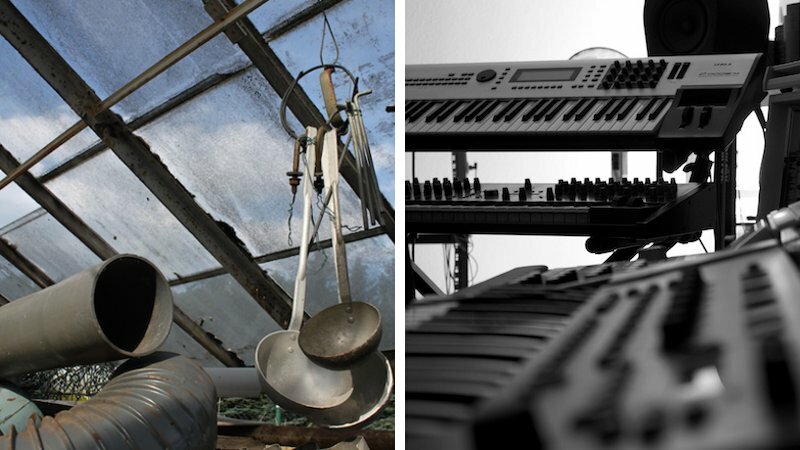 The site’s dilapidated greenhouse and a variety of scattered metal, wood and glass objects found there provided some truly fascinating sound sources. To name just a few, rusting car engines and scrap metal heaps became vibrating sound sculptures. Old roof tiles and bricks played back tonal sounds and a broom stroking a wooden door created a dense harmonic structure. As always, exploring the experimental nature of the sounds can provide a catalyst for your own creations.